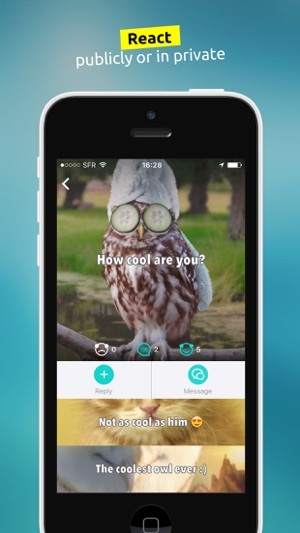 Share your thoughts freely with YAX! No signup or login required, here it’s not your identity that matters, it's what you tell that makes you someone unique. 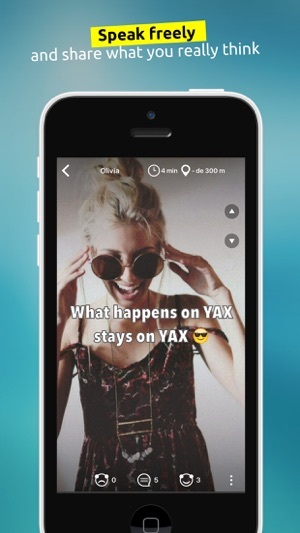 See in real time the Yax posted near you, comment, react and start a private chat with other users! 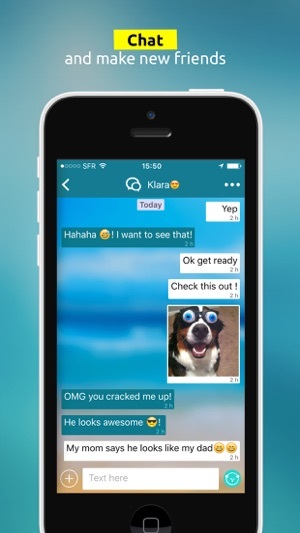 Create and share you Yax in the blink of an eye: your text, your image, let your creativity shine ! A free and confidential network. YAX, it’s truly you. • Share your thoughts and ideas with style: type a text and choose a photo from millions of images. • Discover the new Yax in real time and check out the most popular ones posted nearby, in your city, your neighborhood, or your school. 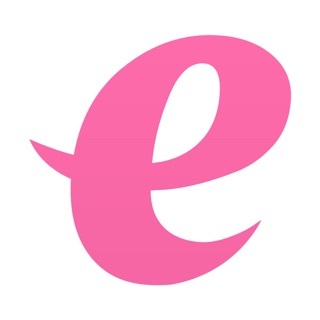 • Add your school to the app and connect with the other students. Check out the fun facts, gossip and other secrets of your school. • Don’t miss your favorite contents: customize your feed by adding #hashtags, users or cities to your faves. • Give your opinion on the Yax that draw your attention and reply anonymously to their authors. 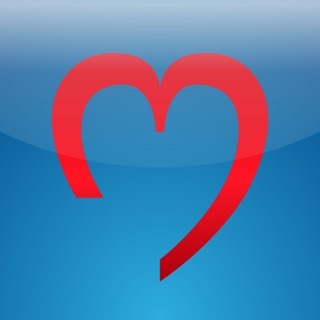 • Choose a username and modify it at any time to remain 100% anonymous. You have an idea for a new feature? You want to test our new features before everybody? Contact us on Facebook (Yax – Truly You), Twitter (@YaxOfficiel) or directly from the app! Aesthetic and simple. Easy and starting like fire in France.